When I wrote EcoThrifty it seemed that there were dozens of people around the web who were talking about making your own laundry detergent at home. I quickly realized all of them were using pretty much the same recipe: borax, washing soda, and a grated bar of soap. I wanted to include homemade laundry detergent in my book, but I had a few problems with that popular recipe and chose not to include it in my book. Recently, bloggers have hit the web talking about that popular laundry detergent recipe ruining washing machines and trapping dirt in the fibers of clothes. A friend who had to buy a new washing machine when hers was ruined by a homemade laundry detergent is the one who told me about this whole controversy. They are saying what I assumed — the soap doesn’t really do much for cleaning the clothes. I didn’t include that popular recipe because I was worried about the soap dissolving in the water quickly enough that there wouldn’t be tiny bits of soap in the rinse water. Second, I was skeptical about a small amount of soap actually cleaning clothes. Third, I didn’t have time to grate up a bar of soap! You know, I’m busy and always looking for ways to save time. Who says homemade laundry detergent doesn’t work? Former homemade laundry detergent users are “stripping” their clothes. That means they soak them in a variety of different things, including borax and washing soda. There are a dozen or so pictures here of the dirty soak water. In the comments on blogs and Facebook pages, some people have said that they had the same results when “stripping” their clothes, which had been washed in commercial detergents. Some people are making a big deal of the fact that the homemade recipe was not really detergent because detergents are made with surfactants. Yes, it’s true that it’s not technically a detergent. They said that the homemade stuff was simply soap and water softeners. Well, soap is soap, but borax and washing soda are more than just water softeners. According to the 20 Mule Team website, “Asides from breaking down acidic or protein-based dirt, borax also maintains a negative electrostatic charge between the fabrics and dirt. This makes it so they repel each other while in the wash, and keeps dirt and soil from getting re-deposited onto your clothes and fabrics.” The washing soda is responsible for neutralizing and eliminating odor in clothes. It’s almost the same thing as baking soda, and think about how many people use that to eliminate odor in their carpet, refrigerator, car, and other spaces. What’s the Ecothrifty laundry cleaner? I recalled that when our babies were little, we always soaked the cloth diapers in borax before washing them, and we always had beautiful white diapers through three sets of baby bottoms for eight or nine years. So, I decided to see what happened if I simply mixed borax and baking soda and used that for my laundry. It worked! I was quite skeptical when I tossed my goat birthing overalls in the washing machine — blood, birth goo, poop, pee — but they came out looking great and smelling fine. I had continued to cut back on the amount I used until it was only 1/8 cup in my high efficiency machine, but that still worked. So, the recipe of 50/50 borax and washing soda went into my book. 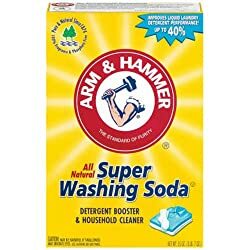 Since the borax and washing soda combo does such a great job of stripping clothes with zero agitation — it just sits there and soaks — it seems obvious to me that these are a couple of excellent clothes cleaners. (Remember, they are not technically detergents.) So, forget the “popular” homemade “detergent” recipe and just use the Ecothrifty laundry cleaner — a 50/50 mix of washing soda and borax. If your clothes look a little extra dirty, let them soak before washing. If they’re a little extra stinky, add a bit more washing soda. Imagine for a moment how powerful a fragrance needs to be to stay in your clothes after being diluted in the washer. It has to be a pretty potent synthetic fragrance, which is not good for you. And who wants to put expensive, high quality essential oils in the washing machine when 99 percent will be washed down the drain? So, if you really want your clothes to smell like something, you can add some essential oils to a wool dryer ball. Just because the common homemade detergent recipe isn’t looking so great does not mean that you have to go buy toxic detergent at the grocery store or spend more money on all natural ones at the health food store. You can still make your own laundry cleaner at home with inexpensive, natural ingredients. We have used a liquid version of the borax, washing soda and fels naphtha for many years. It doesnt clog anything or leave crud on the machine.for my husbands truck greasy clothes we soak them an hour and add some dawn dish detergent to assist in grease cutting. I also add oxyclean periodically for heavy dirt. We no longer have rashes from the dyes or perfumes of detergents either which is a big plus. What version of the Borax, Washing Soda, Fels Naptha do you use? I have seen different versions that have very different amounts of the Borax and Washing Soda in them. I am still experimenting with amounts. Thank you for sharing this wonderful information! I plan to start using it next time I go to the store! I use the homemade recipe with the fels naptha and it has worked great, but if I can eliminate the fels naptha and all the work that goes into making the homemade stuff and still get the same effect, awesome! Hi neighbor. I use the borax, washing soda combo Plus baking soda and my own homemade soap bar. 1 cup each. Takes me less than 20 secs to grate one of my own soap bars. I run it all through my food processor ( so fine, I never have undissolved soap issues) and I can make enough laundry soap to last me two months in less than 20 mins including clean up. Only use vinegar for rinse water and clothes always soft , and smell great, even though we hang them outside year round, or next to our rocket mass stove. We don’t have a dryer. This homesteader will never go back to store detergent. In as much as people are avoiding homemade laundry detergent like plaque, it is actually a hot topic among some section of consumers. No matter what, people will still try to get their hands dirty especially when it comes to DIY. I am in the UK, and live a hard water area, and have been making my own powdered laundry detergent, using Zote for about 4 years now. Main reason was the commercial (expensive stuff) was not getting rid of yellowing underarm stains/mild odour in my husbands white shirts, so I was forced to pre soak and then wash. I wouldn’t go back to commercial stuff, yet I have learned a lot too in the journey, including from this post. I do love the smell of fabric conditioner, but the goey black smelly build up in the drawer of the washing machine (front loader) was too much. Machine drum never smelt. Never had this problem when I lived in London. A 60% vinegar to 40% Fab conditioner solution works for me. Vinegar alone was too harsh as it does strip the build up from the towels especially. So if you want to use vinegar exclusively as a fabric conditioner introduce gradually, then increase. Since using this ratio my washing machine drawer has been fine – no gunk, no funk. Oily stains on clothing I found was sorted by a squirt of washing up liquid on the garment or in the drum – even Ecover worked, Fairy does too! This was the only stain my homemade product could not fix unless I washed at a really high temperature, which for general garments is simply not possible. For me now, shirts are white, no yellowing, or grey/dingey look. Towels which used not to be so absorbent are now soft and actually perform their purpose of drying. I dry laundry outside when I can or sometimes in the tumble dryer. I also think that each recipe needs to be tweaked for your water hardness. 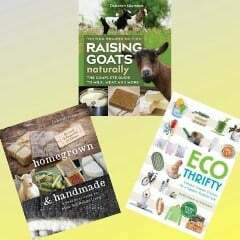 For me Homemade is fantastic, as I get more uses from it other than just washing clothes. I too am in a very hard water area of the U.K. What laundry detergent recipe have you found that works please. Going to try your vinegar/fabric conditioner mix too as I detest the black gunk build up. The 50-50 washing soda and borax works for us. I just was told that this hurts your machine,so I had to look it up. I agree with you and your explanation. I do not use the bars,they stink and are a pain to grate em. I’m going to omit the crystals and the oxy clean next time also. 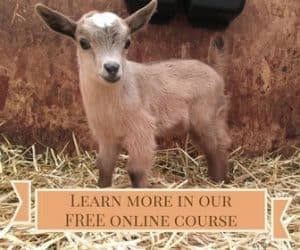 My daughter works on a farm and has several different animals also,she does a pre soak and wash. They smell sooooo much better than reagular soap did. Amazing and thanks for your explanation about the difference. Here’s an idea: stop adding perfume to everything. Stop using perfume entirely. Go fragrance free. Your clothing will be cleaner without it, and you won’t be making visitors to your home sick. And while you’re at it, stop using laundry softener of any kind. It’s nothing more than perfume mixed with wax and it damages clothing. I totally agree. AND hang your laundry out to dry. It is not nearly as harsh on the fabric, but also bleaches (cover or shade dark clothes) and clothes will be static free and fresh smelling. I make my detergent with Borax, Washing Soda and Bonner’s liquid soap (no grating a bar of soap or worrying about the soap not dissolving. What ratios do you use for this? Do you use any oxi at all my washing machine has trays for both was just curious? Felt good to read this article. I am inspired by your work and got some great ideas. Thanks and keep sharing !! 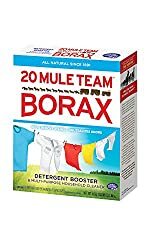 Does this borax/washing soda mix work for front-load “HE” washers? Have cut fabric softeners for about 6 months, now, using wool dryer balls and essential oils and LOVE it! Really want to cut detergent next! Yes, it does. I actually had a front loader when I wrote Ecothrifty. Now I have a top loader, which is also HE, and it works in there too. Thanks! One more question- do you “liquify” it or throw it in as a powder? I throw it in as powder, but if your machine has a problem with that, you could mix it with water. When soaking diapers, what ratio do you use? Do you use a bucket, if so what bucket size? The bucket was about 1.5 or 2 gallons, and it was only about 2/3 full of water. I added 1/4 cup of borax to it. I only soaked the poopy diapers in there. I’ve used the liquid version of gels naphtha, borax, and washing soda for years. I love it! I use 1 shredded soap bar (homemade soap), melt it in hot water then pour in 5 gallon bucket. Then I add 1 cup washing soda and 1 cup borax and fill bucket with hot water and mix well. The next day I have several months worth of laundry soap. I have been doing this for 8 years and not had any residue in the washing machine or on clothes and the clothes always come out clean and fresh. Saved over $1,000 so far by not buying store detergents. Nothing else — just borax and washing soda. I use less than 1/4 cup in my HE machine. If your whites are turning yellow, you probably have iron in your water. You can get salt pellets that are specifically designed to remove iron from the water, if you have a water softener.